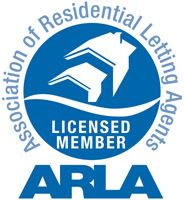 Am I eligible to rent with Karsons Lettings? Yes: If you are good at paying your rent on time and you keep your home clean and tidy! If you are under 25 years old we may ask for a guarantor. Your guarantor needs to be a homeowner in full-time employment. We will need them to complete a 'guarantor's application form'. [download link] Once they pass the referencing and credit check, they will be asked to sign a guarantee agreement. If the property is currently vacant you could move in within 48 hours, as soon as satisfactory references have been received, tenancy agreements signed and the monies have been paid.